Support for two new basemap options in the API: Terrain and Dark Gray. 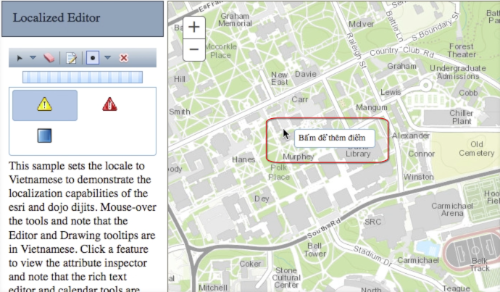 The latter is a completely new base map on ArcGIS Online. The HeatmapRenderer class is no longer in beta. New constructor option colorStops and setColorStops method to provide additional mechanism of describing the HeatmapRenderer's color ramp. CalculateDensity - Create a density map from point or line features by spreading known quantities of some phenomenon (represented as attributes of the points or lines) across the map. ConnectOriginsToDestinations - Measure the travel time or distance between pairs of points. CreateViewshed - Creates areas that are visible based on locations you specify. CreateWatersheds - Creates catchment areas based on locations you specify. DeriveNewLocations - Derive new features from the input layers that meet a query you specify. FindExistingLocations - Select features in the input layer that meet an attribute and/or spatial query you specify. FindSimilarLocations - Measure the similarity of candidate locations to one or more reference locations. InterpolatePoints - Predict values at new locations based on measurements from a collection of points. PlanRoutes - Determine how to efficiently divide tasks among a mobile workforce. TraceDownstream - Determine the flow paths in a downstream direction from the locations you specify. For certain features in non-Web Mercator and non-geographic spatial references, LabelLayer wasn't displaying labels correct. 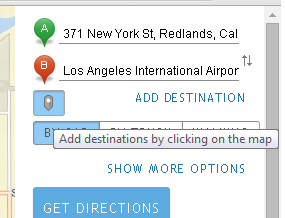 Ability to click on map to add destinations. Two new methods, activate(), deactivate(), to help with this functionality in apps that also use map click for other things. Try the sample. 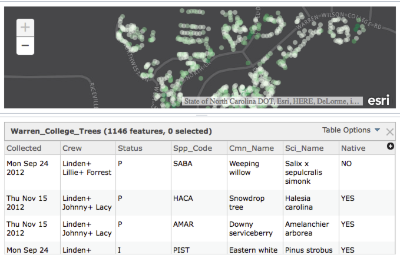 A new set of classes that enables you to spatially enable a dataset that doesn't contain spatial information on its own. LocatorLocationProvider - Uses a Locator task to geocode the input features. StandardGeographyQueryLocationProvider - Uses a StandardGeographyQueryTask task to assign standard geographies to the input features. QueryTaskLocationProvider - Uses a QueryTask to query for geometries in an existing FeatureService or MapService. New task to do standard geography queries: StandardGeographyQueryTask uses the ArcGIS Standard geography query service to query for standard geographies. A new widget that displays your features in a table format, and can be used both with and without a map. Provide feedback when uploading a zip file that exceeds file size limit. Fixed errors when publishing builds to the cloud ("Published to Cloud") and build name contained spaces. Fixed issue where "Publish to Cloud" option was not available although the build did not contain custom packages. The GeometryService has two new methods to make it easy to convert to/from MGRS, USNG, UTM etc (requires ArcGIS Server 10.3 or above). In the Renderer class, the setProportionalSymbolInfo() method has changed name to setSizeInfo(), while the proportionalSymbolInfo property has changed name to sizeInfo. 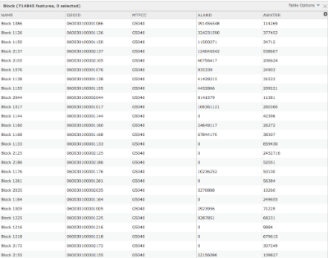 Work-around for big zoom-in with Chrome browser - Applying opacity to element with big scale transform freezes the page. 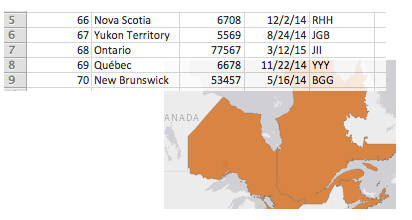 Fix for heatmap renderer across international date line - Esri/heatmap-layer-js won't display across dateline. This was handled by the newly-added extent.normalize() method. BUG-000082713: Attachment editor error "This file type is not supported" when file is attached using Internet Explorer 11. BUG-000083043: Fixed an issue where the Measurement widget did not update the latitude values, ref: GeoNet discussion. BUG-000082443: Fixed an issue where the Measurement widget incorrectly rounded latitude on non Web Mercator/WGS 1984 basemaps. BUG-000082848: Fixed an issue where the Measurement widget's Distance tool always returned "Miles" in the "measure" and "measure-end" events. NIM098834: Fixed an issue where the link to the buttons.css stylesheet used with esri.dijit.Gallery returned a blank page. BUG-000082611: InfoWindow now correctly displays information for all points when using a StreamLayer. ENH-000082141: LabelLayer now works with StreamLayer. NIM099463: Fixed an issue where the "Delete" button in the Attribute Inspector widget sample did not work. BUG-000083637: Fixed an issue where panning would not disable using Internet Explorer 10/11 when right-clicking outside the map.